Understand your application portfolio from end-to-end and from top-to-bottom. Visualize, optimize and modernize your assets with Software Intelligence®. “The SMART TS XL toolset has saved Pier1 a great deal of both time and money and has proven to be an invaluable asset to the entire Pier1 IT staff. Its ease of use allows all levels of our IT departments to immediately use the tool proficiently with little or no training, for a wide variety of tasks such as impact analysis, LOEs and development research." Modernizing legacy applications requires an accurate understanding of the entire portfolio. Does your team have the understanding they need? Success stories from leading companies in finance and banking, transportation, manufacturing and more. 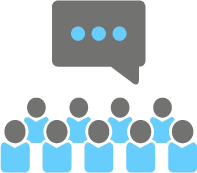 View product highlight videos and testimonials from some of our clients. Check out our latest blog posts on modernization, DevOps, security, and other technology news. Applications, databases and other modules work together in an intricate ecosystem. Does your team know the potential impact of changes? Whether you're modernizing legacy applications or supporting business-critical processes, you can increase your SDLC efficiency with the industry's fastest code search and analysis platform - SMART TS XL. 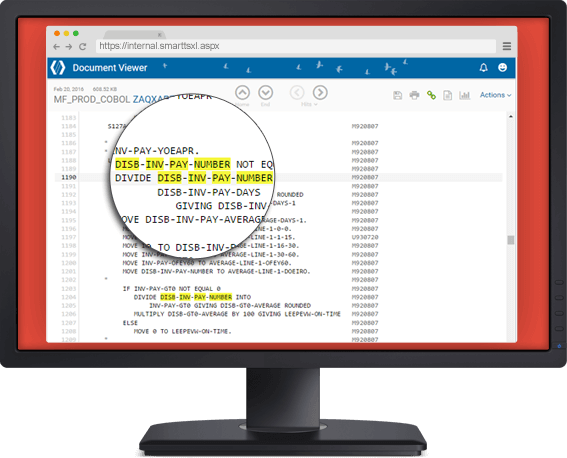 Forget scanning millions of lines of program code for the item you need. SMART TS XL helps you find exactly what you need, the moment you need it. Impact analysis is easier than ever with color-coded cross reference diagrams that show references across platforms and languages. 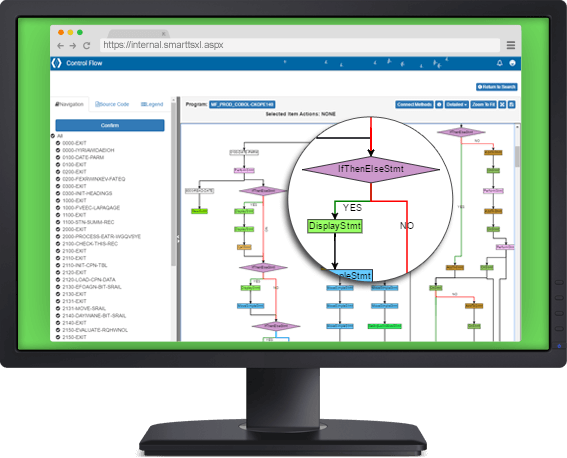 Understand complex program logic without having to examine source code line by line with our interactive flowchart tool. Add all documentation, reporting and communication to a secure, easy-to-use knowledge base so new team members can quickly be brought up to speed. 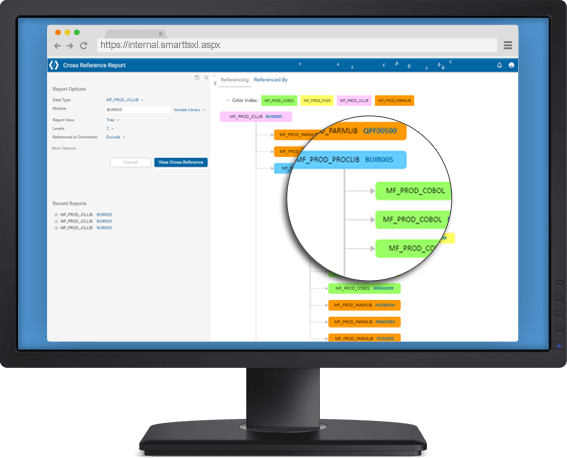 Quickly understand and analyze any code, regardless of platform or language. Updating your legacy systems requires a complete understanding of what needs to change, where it's located and what that change will impact. Identify critical touch-points between items that affect elements across your entire application landscape. 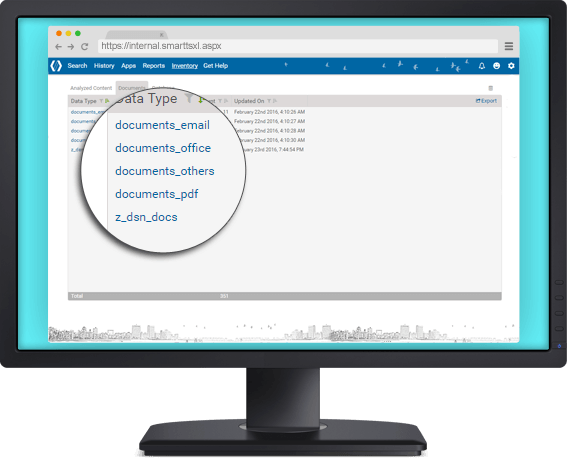 Make enterprise content from databases, platforms and other document repositories accessible for anyone that needs it. Create superior applications by breaking down walled information silos between development and operations teams. Expand your JCLs to see how they look at run-time. view all included procedures, parameters and other symbolic variables. "It’s the most complete solution we’ve ever found. It’s extremely customizable; it’s robust; it’s easy to implement and install. And by-and-large, it’s the best product on the market."